Results: In Fox Creek, AB we provided our customer with safe and efficient access to tie in wells to the main pipeline system where they would have normally had to wait for the ground to freeze to begin work. The customer got onto site safely and remained on budget due to the services that Northern Mat & Bridge provided. 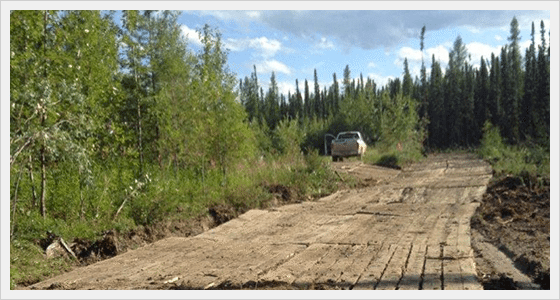 Results: Northern Mat & Bridge installed access mats in order to gain access to a pipeline with minimal environmental footprint. With the successful outcome the project was able to be completed in a safe and cost-effective manner. 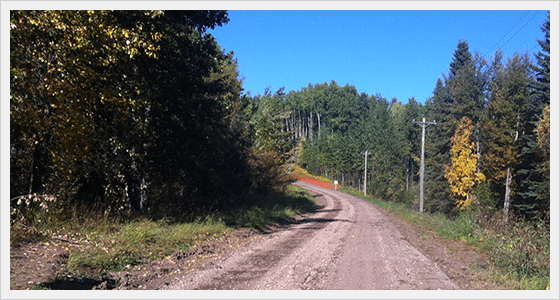 Results: A customer contacted NMB to gain ACCESS to a directional bore under soft, sensitive conditions that would otherwise be inaccessible. NMB executed the project safely and efficiently, keeping them on schedule and on budget. The pipeline will originate from a tie-in point located at an existing pump station and terminate at a tie-in point in NWAB. 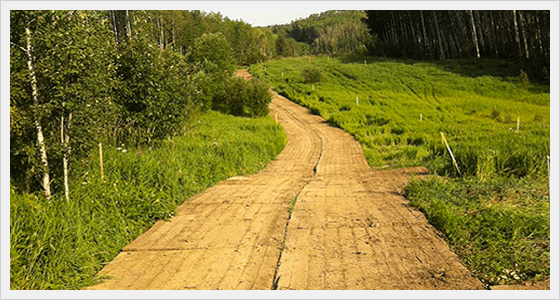 Northern Mat looks forward to continued work with the Pipeline Contractor supplying our matting solutions as well as temporary oilfield portable bridges for the duration of the project.